Home » Agile » Them’s Fighting Word! 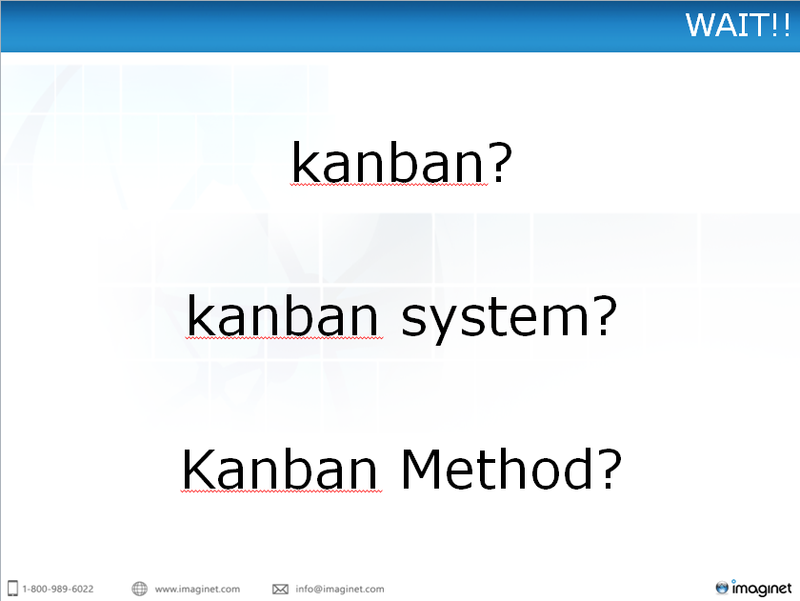 By Agile Ramblings in Agile, Estimation, Kanban, Lean, Learning on July 31, 2013 . I have to disagree at least with the coupling of cadences as being unnecessary. Having an iteration endpoint is like a shared goal for our team. Having a firm goal in sight, for many, provides a sense of motivation or urgency that would not exist in a world where the backlog continually flows in and completed work flows out. The shared goal helps with team cohesion. For example, our developers are (surprisingly) willing to get on-board with taking on testing tasks, typically done by dedicated QA team members, just to get an iteration wrapped up. Any stories left incomplete when we reach a retrospective give us concrete examples to illustrate ways our team can improve. Our egos push us to minimize the number of such examples while the scrum master guides us to reflect upon them. The iteration boundary also pushes us to become “release ready” at a given point in time. I know that in an ideal world there should be sufficient tests, tools, and practices to have a code-base be release ready at any moment, but I’ve yet to work on a project that has fully achieved this level of nirvana. In reality, for most of us, there is at least some stabilization effort required. Another benefit of having an iteration with a finite size is that we are forced to consider breaking down epics into manageable stories. The vast majority of the time this is a really good thing. In conclusion, to brush aside the of benefits of a coupled cadence as “unnecessary” is unnecessarily callous. I didn’t mean to infer that coupled cadences are always unnecessary because that was not my intent. And I didn’t intend to infer there is no value in iterations. I think that prescribing a coupled cadences for disparate activities limits improvement opportunities for flow and limits our opportunity to align our activities with upstream and downstream partner activities, especially when the upstream and downstream partners are different. I think that when we are allowed to find the optimal cadences for interaction points with upstream and downstream partners, they will naturally disconnect but not always so we have to make informed decisions about these policies. To be clear, when I talk about coupling, I am talking about the interface points between upstream and downstream partners and scheduled hand-offs or transitions of work. I’m not talking about the value of rituals and their support of various team-based activities. Goal setting is really important, but I think there are better ways to set goals than to give a deadline. I think that a team that does everything (BA + Dev + QA + Delivery + Support) will like cadences and find them beneficial. I don’t think that is always the case. I wasn’t discussing the value of an iteration or timebox, although I do understand that iterations naturally start and end and couple all the activities inherent in those phases of the workflow. How would you envision a continuous delivery situation? Are there other tactics/practices that we could use to drive out the benefits you’ve spoken of coming from iterations? I too have been having this misgivings about Joesph Hurtardo’s characterization of Kanban – and his having to define and carve out a different definition – while also mis-characterizing DJA’s definition of Kanban. You have well articulated the unease that I was experiencing. All because of wanting to cash in on a very sophisticated – but yet deceptively simple thing like Kanban, I presume. Whille I am not aware of his b/g or his history or his motivations – I often wonder how it might have been – if Joeseph had instead chosen to belong to the larger Kanban community – and the contributions that he would have likely made – to it.